NEW! Free on-line course available through ABAA’s own website. 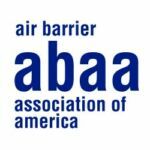 “Introduction to Air Barriers” provides an overview of the performance requirements of air barrier materials, assemblies, and systems, and includes a discussion on relevant building code requirements. This course provides AIA and state credits and qualifies for HSW.